Inverting colors on your mobile device not only saves battery life, but also helps prevent straining your eyes, especially during the nighttime. 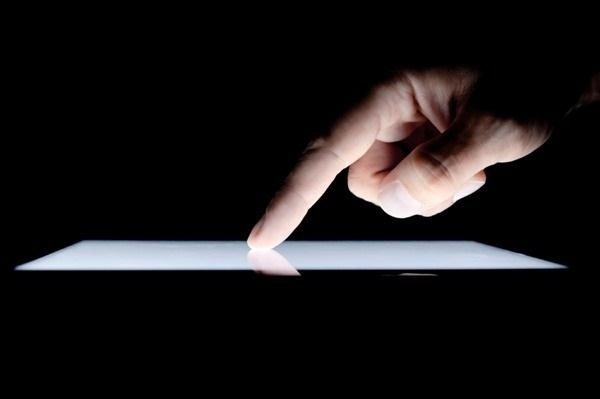 Bright white screens interfere not only with your eyes, but with your sleeping patterns, as well. The bright lights greatly reduce your melatonin, a hormone secreted by the pineal gland in the brain that helps you go to sleep. Thus, the onset of sleep is delayed and the possibility of deep sleep is reduced greatly. You could dim the screen on your mobile device, but that can also lead to severe eye strain, causing headaches and lack of sleep. Having inverted colors takes care of these problems, and also helps during the day when you're trying to read in the sunlight. 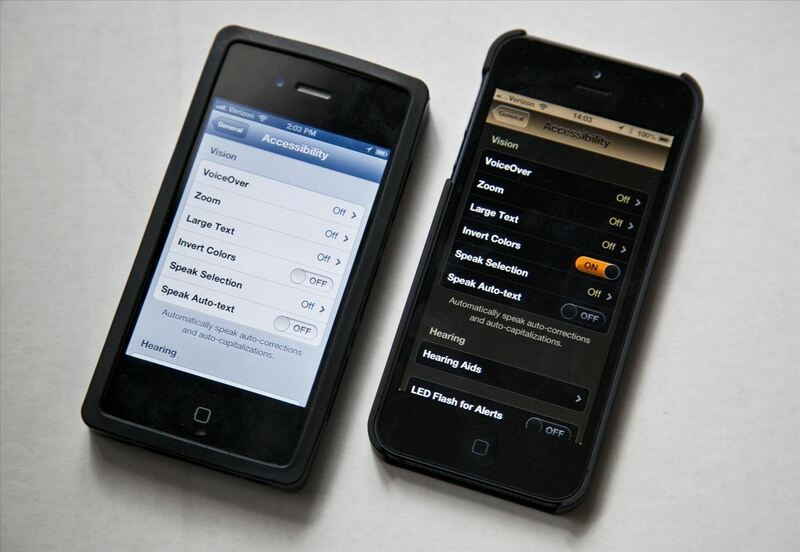 Here's how to invert the colors on your Apple or Android device. 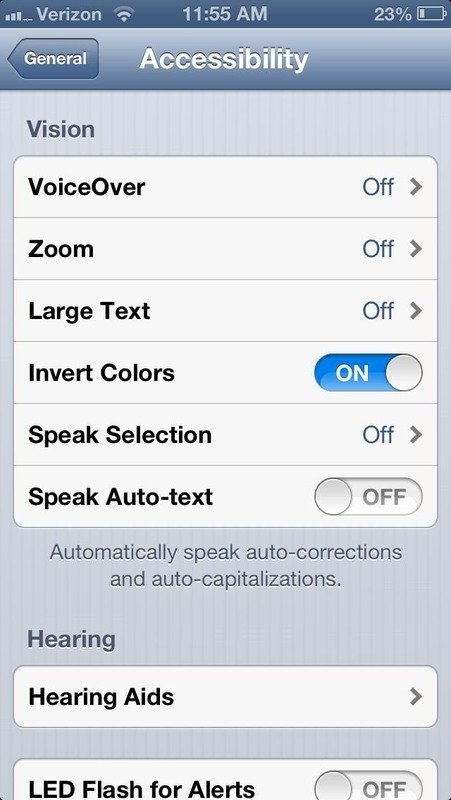 If you want to create an inverted color triple-click Home shortcut, navigate to Settings -> General -> Accessibility, scroll to the bottom, and set your Triple-Click option to Invert Colors. Tap your Home button three times to instantly invert colors at any time, and three times again to revert to normal colors. 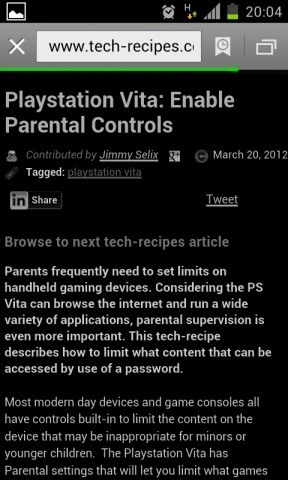 This is only an option with the Ice Cream Sandwich OS and above, including Jelly Bean. Also, unlike iOS, only the stock Browser will become color inverted, so you can at least color invert the browser. But, it's dependent on your ROM as to whether or not the colors are changed elsewhere. 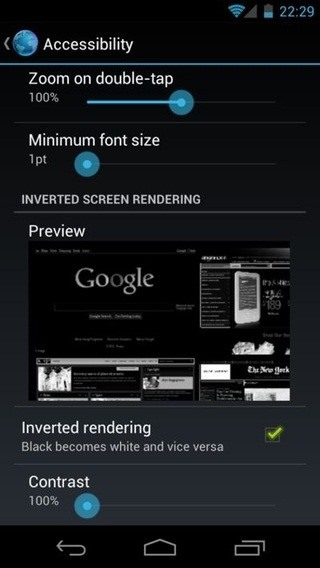 However, if you have a Nexus 7 or Nexus 10, you will not be able to invert your colors at all. The stock "Browser" app which makes this work has been replaced by Chrome, which does not have the option to invert colors.